IGP pushes for death penalty for kidnappers – Royal Times of Nigeria. 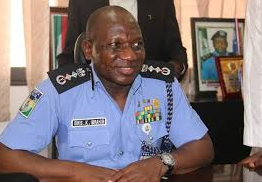 The Inspector-General of Police, Ibrahim Idris, is agitating for stricter laws on kidnapping. The IGP while meeting with Commissioners of Police and other senior officers of the Force in Abuja yesterday, urged the National Assembly to enact stricter laws. He stated that the evil act is thriving because there are no laws in place to tackle it. He said: “When I went to the National Assembly, I told them that what we need to challenge kidnapping is punishment. I think these boys see us parade people but they don’t see them taken to court or sentenced to death. In some states where kidnapping leads to death of somebody, the penalty is death but they only see the court sentencing such persons to 10 years or life imprisonment.